Why not send one of these adorable chestnut brown teddy bears and make someone special smile. 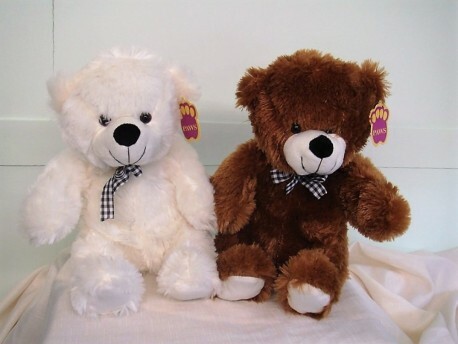 He comes with a brown gingham ribbon tied round his neck and has a big brown nose and white paws. When he's sitting down he measures approximately 11 inches tall. This bear is also available in a lovely cream colour.